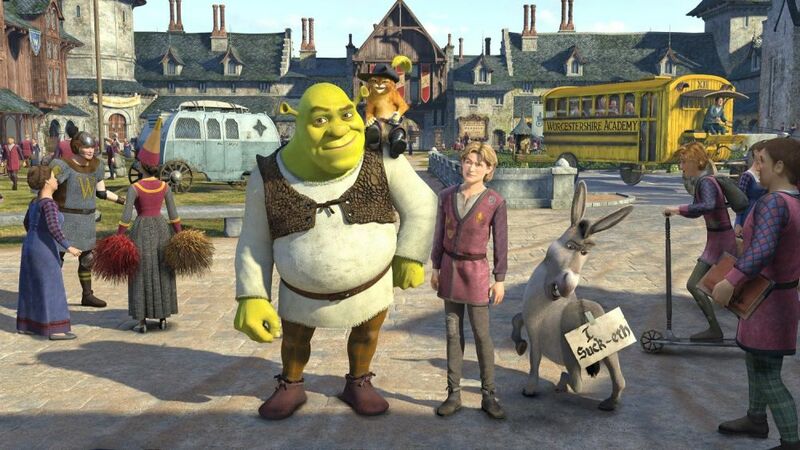 Heartfelt apologies go out to Jeffrey Katzenberg and the Dreamworks Animation team. While we congratulate you for the $71.25 million dollars of revenue earned on your box office opening weekend, we had to hold off seeing Shrek Forever After until later this week. Why, you ask? Having invested six years of our viewing pleasure into this show, we wanted nothing to stand in our way of viewing this much anticipated two and a half hour season finale...along with the two hour retrospective...and the one hour Jimmy Kimmel Live! follow-up. A great deal of planning, training, and personal conditioning went into the preparation for our Lost evening, and no Ogre was going to stand in our way. Without spoiling it for those who are waiting to catch it on Tivo, I don't think anyone could be prepared for the tearful and emotionally draining end to the series. As a service to our members, we are pleased to present the one video that was able to break our endless cycle of Lost finale crying spells. As a service to grieving Lost fans looking to fill the void on Tuesday nights, please pass this on so the world can smile again. Thank you.